St. George’s 2018 Holiday Povitica Sale is Almost Over! 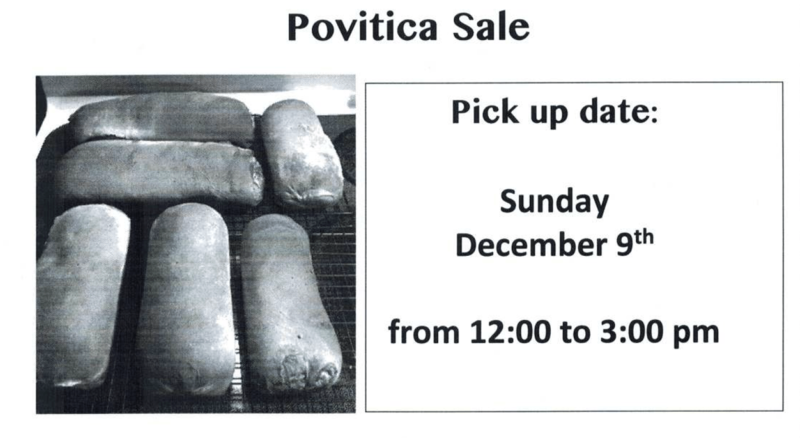 Don’t miss out on great povitica from St. George Serbian Orthodox Church in Duluth! Poviticas make a great addition to any holiday meal. They also make great gifts for friends and family. And, between now and December 1st you can order your loaves for the holidays. Call Luanne at 218-878-1403 for more information.